Outside Still & West after Remembrance service. A few more faces in this one! I’ll see if I can remember names. While I’m still able! 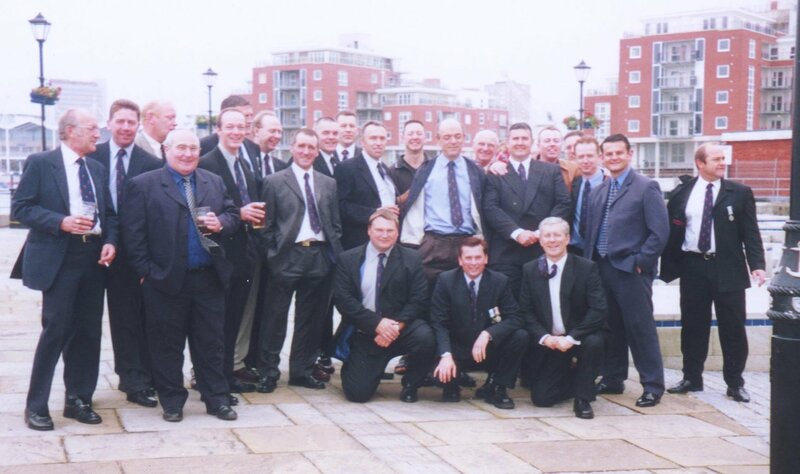 Henry Thorne, Ray Vere, Chris Sharp, Taff Johns (partly hidden), Sean Connochie, Me, Harry Fordham, Jim Spence, Pete Mills, Nick Lowe (arm round scouse) Bungy Williams, Rocky Stone. Taff Lewis (pint in left hand), Bob Knox, Rab Butler, Graham Pragnell, John Porter (just resting! ), Scouse Whitter, Bill Paris, Steve Mellor.